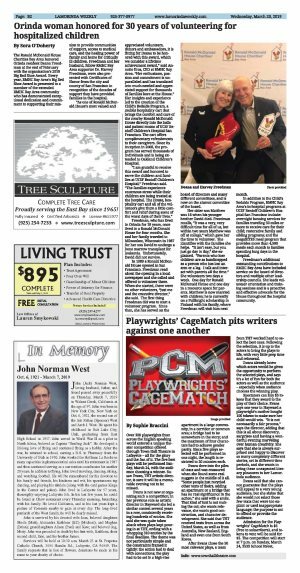 Over 300 playwrights from across the English speaking world entered a unique theater competition offered through Town Hall Theatre in Lafayette - all for the glory and the fun of it. The five best plays will be performed Sunday, March 24, with the audience choosing a winner. Susan Evans, THT artistic director, is sure it will be a memorable evening not to be missed. Evans is not new at organizing such a competition; in her previous role as artistic director in Hayward she led a similar contest several years in a row, consistently receiving hundreds of entries. She said she was quite taken aback when plays kept pouring in at THT, ending with a whopping 310 entries by the final deadline. The theme was not particularly simple and the constraints framed it tightly: the action had to deal with connections; the play had to be set in a high-rise apartment in a large community, in a corridor or common area; a bridge had to be somewhere in the story; and the maximum of four characters had to achieve gender parity. Since five plays selected will be performed in one night, the length is restricted to 20 minutes each. Evans dove into the piles of texts and was reassured when she found some real nuggets in the middle of it all. "Some people just recycled other texts of theirs, adding an apartment or a bridge that has no real significance in the action," she said with a smile. That kind of text is not making the cut; she wants relevance, she wants good construction, and character development. She said that THT received texts from across the United States, as well as from Australia, New Zealand, England and even one from South Korea. After Evans chose the 50 most relevant plays, a team from THT worked hard to select the best ones. Following the selection, it is up to the actors to bring the plays to life, with very little prep time and rehearsal. Evans already knew which actors would be given the opportunity to perform the selected plays, and says it's a lot of fun for both the actors as well as the audience - especially when audience chooses the winning play. Spectators can buy $5 tokens that they award to the play of their choice. Evans says one year in Hayward a playwright's mother bought 100 tokens to make sure her child would win. "It is not necessarily a fair process," says the director, adding that this is all about discovery, surprises and having a wonderful evening marveling over human creativity. She says that she is always surprised and happy to discover so many completely different stories, set in different time periods, and she wants to bring these unexpected literary pleasures to her Lamorinda audience. Evans said that she cannot guarantee that the plays will appeal to a very young audience, but she states that she would not select those few texts that were too explicit or used inappropriate language; the purpose is not to offend or provoke the audience. 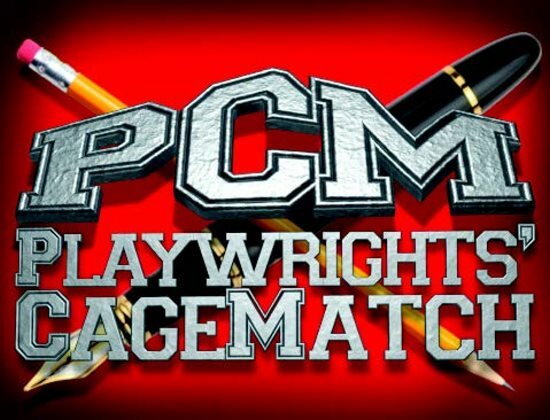 Admission for the Playwrights' CageMatch is $5 (free to subscribers), and tokens to vote will be sold for $5. The competition will start at 7 p.m. on Sunday, March 24, 3535 School Street, Lafayette.